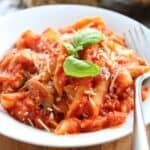 A delicious crock pot pasta recipe that has under 10 ingredients. This kid favorite dinner meal can’t get any easier. A Mexican inspired zesty pasta dish that even the pickiest of eaters are sure to enjoy. On busy nights sometimes it’s necessary to utilize prepackaged or canned goods to help get dinner ready. 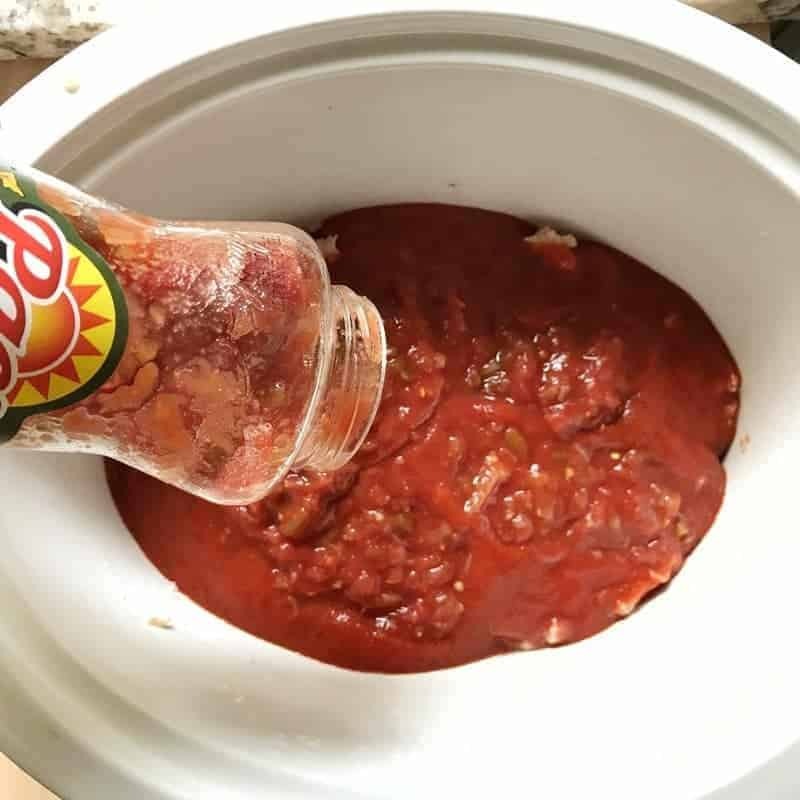 Together, canned goods and your crock pot are the perfect solutions for those busy back to school nights. 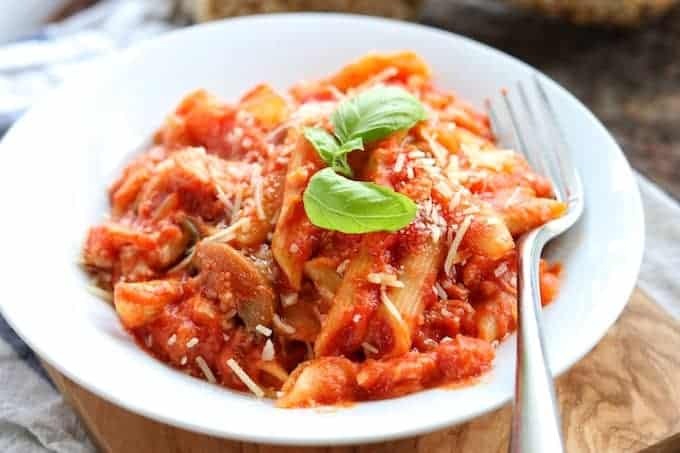 With under 10 ingredients, this crock pot pasta is a quick dinner idea, perfect for on the go nights. 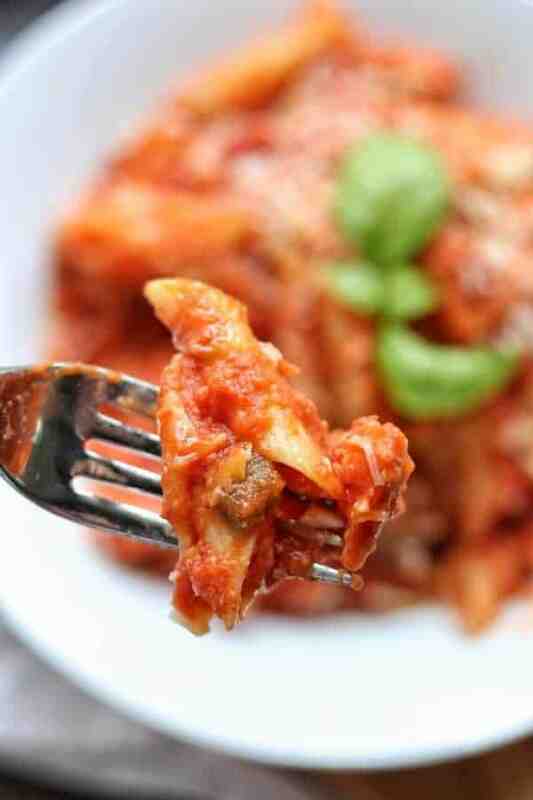 Did you know you can cook pasta right in the crockpot? Keep reading to find out how. 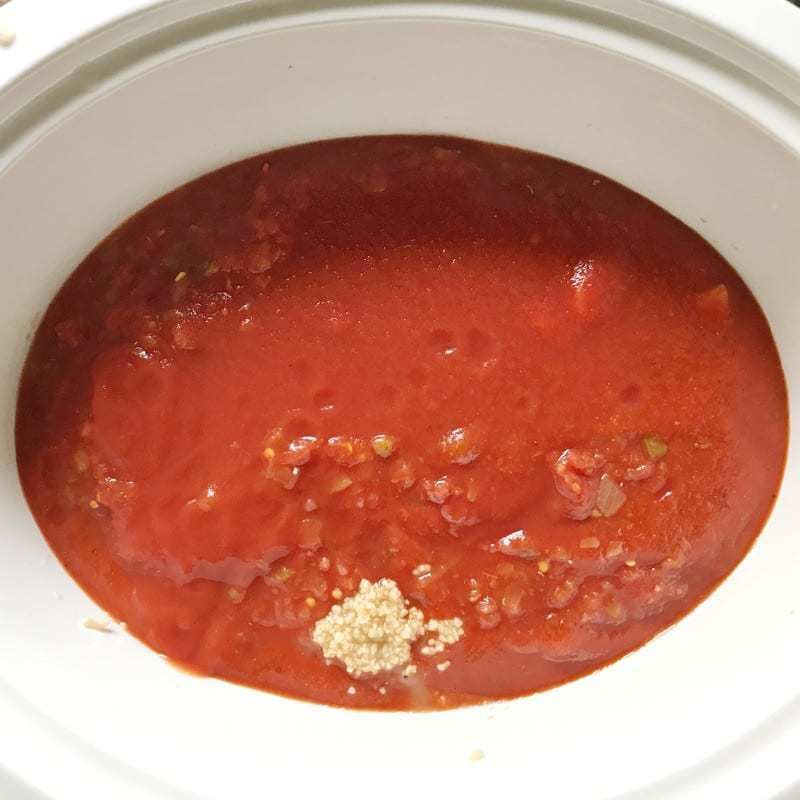 To crock pot, add chicken, spaghetti sauce, salsa, tomato sauce, broth, garlic, and dry pasta. 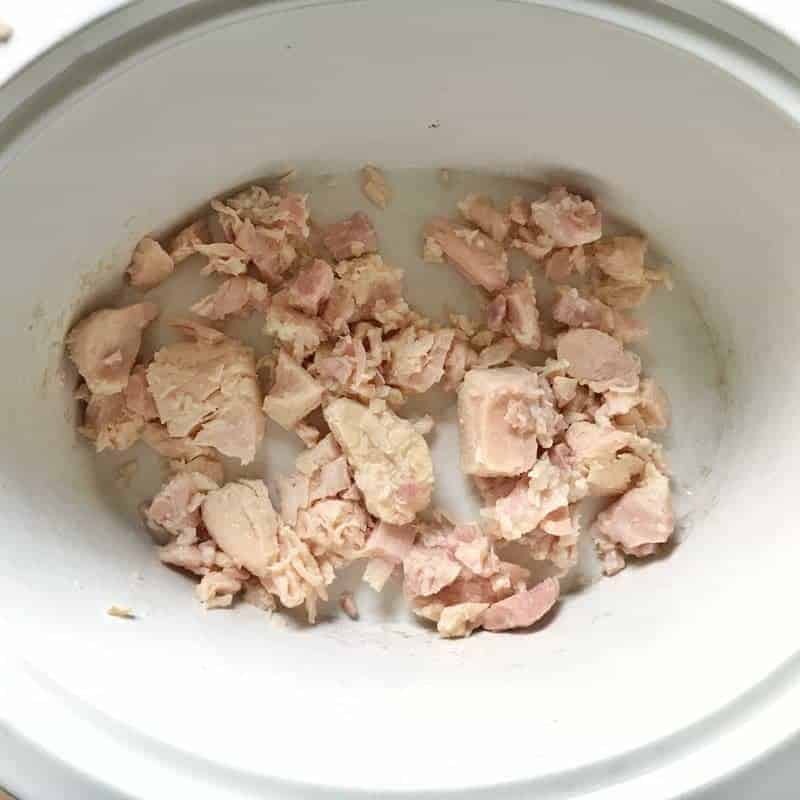 For this dish, I used canned chicken. It’s already cooked and ready to use, simply open the can. It also happens to be low fat and qualifies as heart healthy. It’s a great product to keep in your pantry for grab and go meals. Kitchen Tip: You can use leftover chicken or rotisserie chicken if you have it on hand. Next up – a jar of your favorite spaghetti sauce. Add your favorite salsa. I went with Pace® because it has a nice southwestern flavor and is made with handpicked veggies. Next, add a jar of tomato sauce, chicken broth, and minced garlic. Pour in your favorite pasta noodles, stir, and let cook. Let the pasta cook for about 4 hours on low, or 2 on high. Just before serving, stir in cheese. Turn this crock pot pasta in to crock pot spaghetti simply by using spaghetti noodles! A kid favorite dinner meal perfect for back to school. Your kids will request this one over and over again! Check out the video above for step by step instructions! 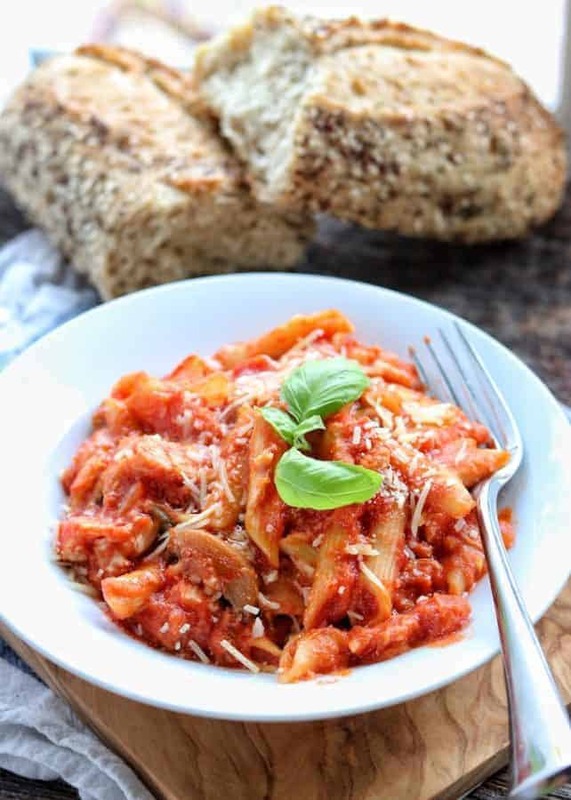 This crock pot pasta is made with under 10 ingredients. Spaghetti sauce is blended with chicken and salsa for a zesty pasta dish. To extend cooking time, omit pasta until the last 2 hours or boil noodles and add them when serving. 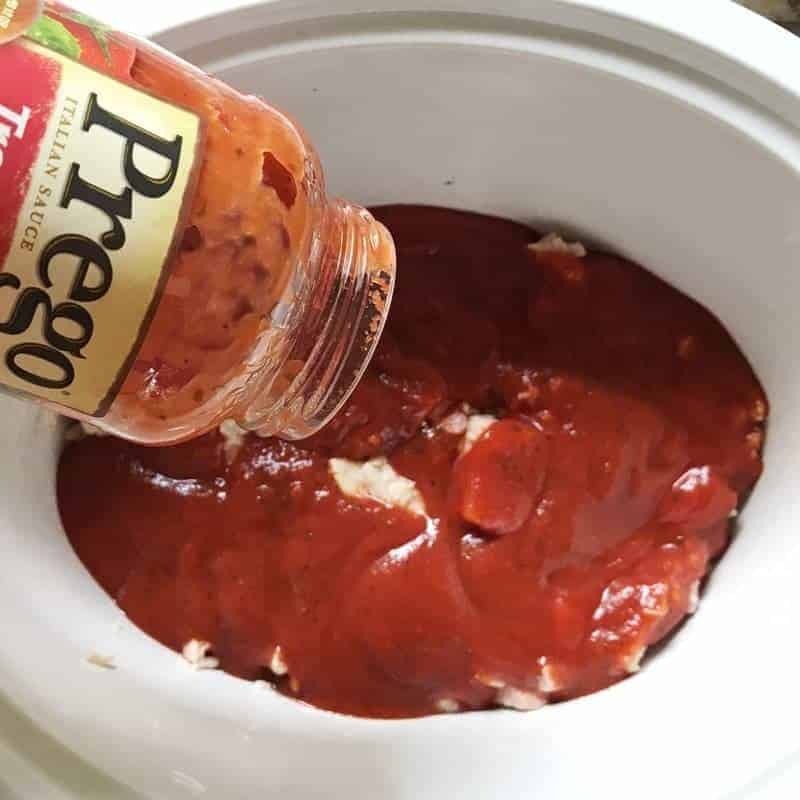 For more Slow Cooker Recipe click here! Canned chicken is my go-to. Often! I have found it to be such a time saver! I love that the pasta cooks with the rest of the ingredients! So handy.